Expect a warm welcome on a Liverpool city break. Proud and friendly locals will help you discover the city’s charms. Explore the imposing waterfront and grand architecture, world-class museums and lively nightlife. Book a Liverpool hotel and engage with a city keen to display its cultural past and vibrant present. With a long history as a trading port, travellers have been flocking to Liverpool for centuries. Whether you're here to party in the heaving nightclubs or amble around the museums, Liverpool has an array of attractions to keep you enthralled. For a touch of class you can indulge in the variety of luxury hotels, but similarly there are a range of lower cost alternatives with an array of facilities in addition to backpacker hostels. Boasting memorable malls, high street brands, vintage shops, and luxury fashion stores, Liverpool is a shopper’s paradise which offers something for every style and taste. One minute you'll be wandering the enormous, open-air walkways of the immense Liverpool ONE complex, the next you'll be rummaging the racks of the back alley vintage stores. In short, shopaholics will be find plenty to sate their cravings. 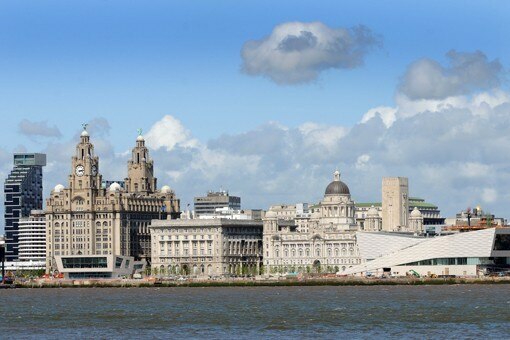 Liverpool is a cosmopolitan city that's developed into one of the gastronomic hotspots of northern England. From independent bistros serving simple classics, to sophisticated restaurants boasting modern British cuisine, Liverpool has a variety of eateries to suit all budgets and tastes. For a true flavour of Liverpool, try the local meat and vegetable "scouse" stew - the dish that inspired the nickname "Scouser" for Liverpool locals. Modern art and pop heritage, ancient artefacts and seafaring history – Liverpool overflows with culture. Explore the city and discover its highlights with this guide to cultural Liverpool. Liverpool will always be synonymous with the Fab Four in the world's eyes, but – while you can explore the history of the Beatles in special attractions – there's far more to the city than music. Think awe-inspiring architecture, high-end shopping, and a UNESCO-recognised waterfront area, all of which help make this one of the UK's best city break destinations. The city that gave us The Beatles is still home to a buzzing music scene today, where bouncing bars and crowded concerts keep locals and visitors jiving into the early hours. The trendy traveller can also check out the city’s cocktail bars, while late-night dancers will enjoy Liverpool’s clubs. Liverpool isn’t just a great city for late-night music lovers and culture fiends - there’s plenty of events, attractions, and activities for young kids and the whole family, whether it’s an inspiring outdoor adventure or an educational afternoon in a fun and fascinating museum. Liverpool is a reminder that when it comes to cutting edge art and a lively cultural scene, there's more to the UK than London. You can take in historic and contemporary masterpieces, and then of course there's the city architecture and iconic quarters like the Waterfront area, which is a designated UNESCO World Heritage Site.